February 4, 1991 Todd Augustine (23) of Tacoma, Washington was lost when crushed by crab pots aboard the 166 foot crab fishing vessel Glacier Enterprise. February 10, 1991 Geraldo Ramos (30) of Anchorage slipped on ice and was lost overboard near Kodiak from the 90 foot crab fishing vessel Tani Rae. February 10, 1991 The 98 foot steel crab fishing vessel Barbarossa is presumed to have capsized and sank in the Bering Sea near St. George Island. Nothing was ever found of the vessel or her crew of six. Lost were skipper George Brandenburg (39), Dennis Olberding (38), Tim Schmitt, Brian McPherson , Darryl Gross and Don Bright. February 14, 1991 The 35 foot longline halibut fishing vessel Thunderbird sank in Chatham Strait with the loss of one of her two crewmen. March 7, 1991 A skiff overturned while halibut fishing near Ouzinkie with the loss of two; Dale Robert Flores (31) and Gregory Guthridge (31). March 1991 Thor Plumlee from the vessel Betty B was lost in a skiff accident returning from beachcombing on Umnak Island in the Aleutians. April 28, 1991 John Spears and Mike L’Ami were lost when the 38 foot longline halibut fishing vessel Berta J sank south of Yakutat. June 26, 1991 Skipper Patrick Flanery (36) of Sitka and James Weber (36) of Kodiak were lost when the Betty B struck a rock and capsized near Atka. July 1, 1991 The 30 foot fish tender Sea Toad flooded from the bow and sank in the Yukon River. Of the two persons on board only one survived. July 12, 1991 A 20 foot salmon seine skiff was found submerged with the operator drowned near Yukon Island near Homer. 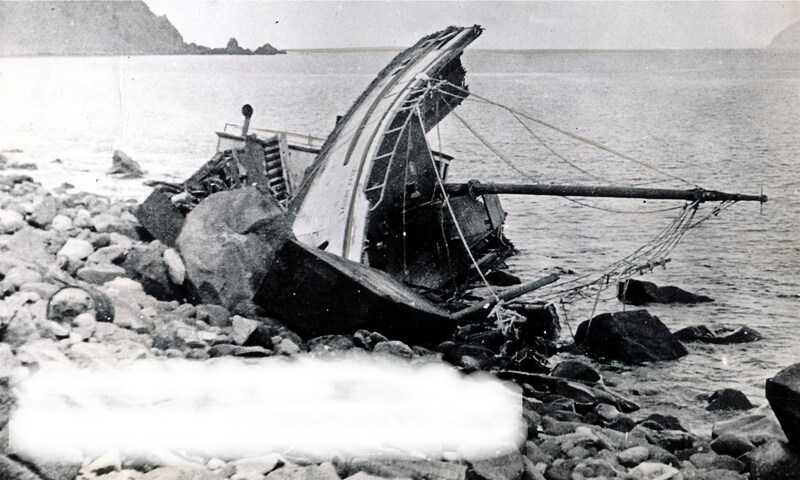 July 16, 1991 The13 foot skiff from the crab fishing vessel Miss Humbolt overturned near Kodiak with the loss of one crewman. The skiff was being used to load crab pots. July 29, 1991 The 30 foot fishing vessel Cowboy was found with her engines running in neutral near Bethel and no one aboard. The body of her operator was found two weeks later. August 5, 1991 A crewmember of the 40 foot salmon fishing vessel Tiffy fell overboard and was lost from the vessel’s skiff while attempting to throw kelp. August 20, 1991 A crewmember went missing and was presumed lost overboard from the 32 foot longline halibut fishing vessel Hu Sun K at Unalaska. September 23, 1991 The 40 foot halibut longline fishing vessel Nagan was found capsized near Egg Island with the loss of her two crewmembers. September 23, 1991 A crewman was caught by a line and lost overboard from the 86 foot crab fishing vessel Bering Empire near Attu Island. October 12, 1991 The 86 foot longline halibut fishing vessel Tonquin overturned near Two Headed Island near the south end of Kodiak Island. 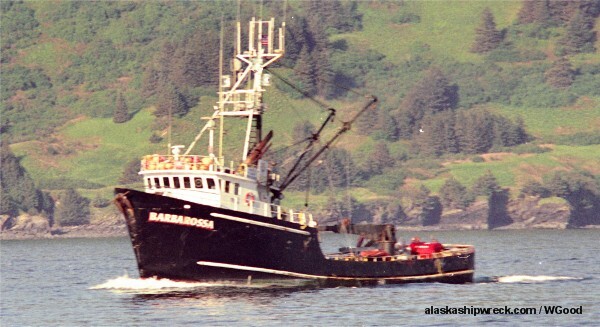 Lost was skipper Larry Tousignant of Kodiak. Four other crew members were rescued. October 22, 1991 One person was lost when the fishing vessel Jimel sank off of Coghill River in Prince William Sound. November 4, 1991 Crewmember Bob Larson was working on crab pots when he fell overboard and was lost from the 86 foot crabber Tiffany north of Amak Island. November 7, 1991 The 86 foot fishing vessel Louise sank in heavy weather out of Dutch Harbor. Four of her five crewmembers were rescued but one was lost. November 22, 1991 The 94 foot crab fishing vessel Harvey G sank in the Bering Sea 100 miles north of Cold Bay with the loss of four crewmen; skipper Ken Krumal (32), Johnny Morgan of Seattle, Shaun Nelson Crane and Timothy Caudill. December 8, 1991 The 38 foot harbor tug Peter H broke up and sank in Kachemak Bay near Hesketh Island with the loss of two crewmen. Owner Cynthia Stults of Seldovia and Donald Huitt were lost. December 12, 1991 Crewmember Eric Thomas was working on crab pots, fell overboard and was lost from the 86 foot crabber Bering Empire north of Amak Island. If I remember correctly the Louise was lost longlining cod for hanging bait – using tub gear. Nygha was the skipper and Kurt was his deckhand. They sank in the pass. Nygha was Vietnamees and could cook in such a way that even greenling roe tasted good. He would make it into a paste that he dipped other food into. He was a person that I will never forget. I am looking for any information on a girl I grew up with in Plano, Texas. We graduated together in 1970. As I understand it, she owned a tugboat and she died when it capsized on Dec. 9, 1991. Her name was Cynthia Stults. Any information would be greatly appreciated. Cynthia was lost along with Donald Huitt when her tug sank December 8, 1991. The two were traveling from Homer to Seldovia. Both names are memorialized on the Seafarers Memorial at Homer. I have a copy of the newspaper article detailing the loss and will forward it to your email address. I will also forward a copy of the names on the Seafarers Memorial and one other citation my researcher was able to find. Thank You for remembering one of our lost Alaska Mariners. “Harvey G” was original “Slim Hodges”, an offshore oil supply boat tending oil rigs in the Gulf of Mexico. I participated in the refit to take her fishing for lobsters off New England, we did it down in Bayou Barataria, Louisiana. Sorry to hear of the loss of crew and the boat. Harvey G served us well off Georges Banks and we took it through some tough weather. Sorry for the loss of life. Thanks for the information James. Tragedies like this are compounded because there are no survivors to tell the tale and the boat ends up on the bottom with little accident forensics information passed on because of inaccessibility. Family, friends and others are left with little but questions and doubts. I am hopeful that with the evolution of technology, wrecks like the Harvey G will be visited and studied in the interest of preventing the same circumstances from repeating and causing more grief. Thank you for your service. The only comparison to what you have described would be a fireman rushing to a fire to try to save the people in a burning house. On the way to the blaze you examine your equipment and go over all the tools and training you have at your disposal in your head. When you get to the scene of the fire ready to help and do your job, the building is already out of control and the occupants lost. It gets in your head “If you could have only gotten there sooner”. Alaska is so big and the area of patrols for the Coast Guard so large, it is like a fire department responding to fires in the next county over. It can get very frustrating. The Hamilton had an amazing career and I am sure that during your time aboard, more good was done than you will ever know. Your presence along the EEZ in the Bering Sea was a huge deterrent to foreign vessels coming into our waters. The drug busts that the Hamilton was involved in are famous. You didn’t say which vessel your ship was responding to or in what area. I am guessing the Barbarossa or the Harvey G because they were lost in the Bering Sea in 1991 which I believe is where the Hamilton was that year.